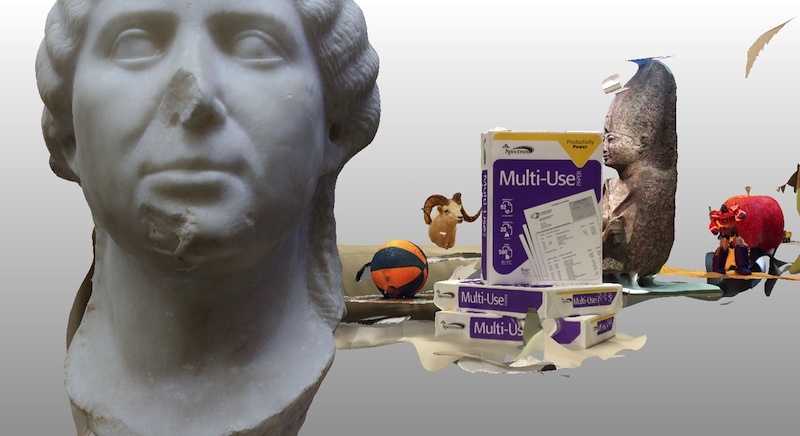 Like the junk-piles known as middens to archaeologists, the 123D Catch site paradoxically conserves its objects at the moment of their fragmentation. But if a midden grows out of cast-off objects, broken as they are discarded haphazardly as refuse, here the artifacts are fractured by the opposite force: not by inattention but a moment of intense technological attention. Clement Valla's solo exhibition "Surface Survey" runs through May 10 at Transfer Gallery in Brooklyn.